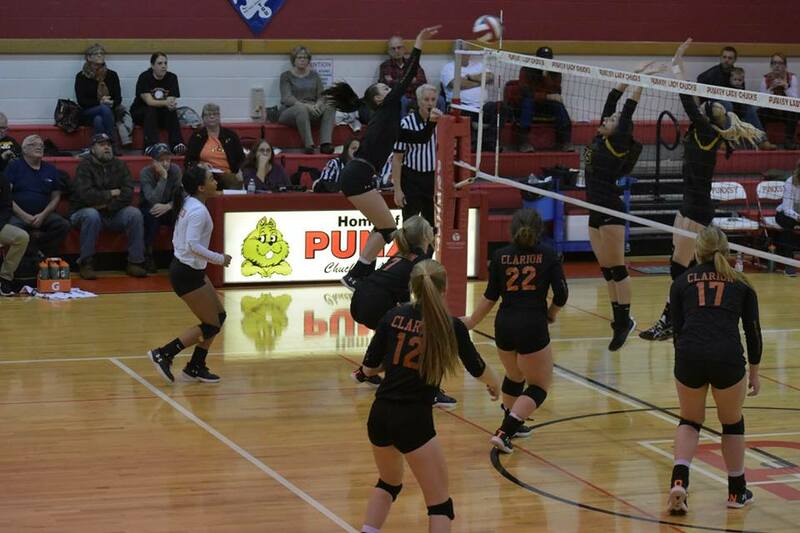 (By CSZ Sports Writer Kenn Staub) Clarion’s volleyball season came to an end Saturday (Nov. 10) in Punxsutawney when the Bobcats fell to the Northern Cambria Colts 3-1 in a PIAA Class A quarterfinal match-up. 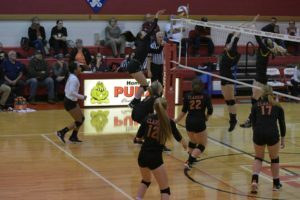 Northern Cambria, who was eliminated by Clarion in the quarterfinals last season, took the first set 25-20, after which the Bobcats claimed the second, 25-22. With the match knotted at 1-1 the Colts punched their ticket to the semifinals by winning the next two sets, 27-25 and 25-17. Sophomore Brenna Campell served for nine points, seven of which were aces. Freshman Jordan Best also had nine from the service line (two aces). Maddie Schill contributed eight service points, while fellow juniors Kaitlyn Constantino chipped in seven (four aces) and KK Girvan six (one ace). Schill scored another 10 points via kills, with freshman Korrin Burns tallying nine. Campbell was good for 27 assists. Girvan was the defensive leader on the floor with 22 digs. Constantino had 13, Burns 10, and Schill nine. 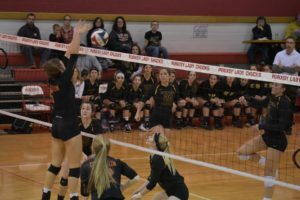 Senior Hailey Sintobin played large at the net, blocking three Northern Cambria shots outright and assisting on another two. 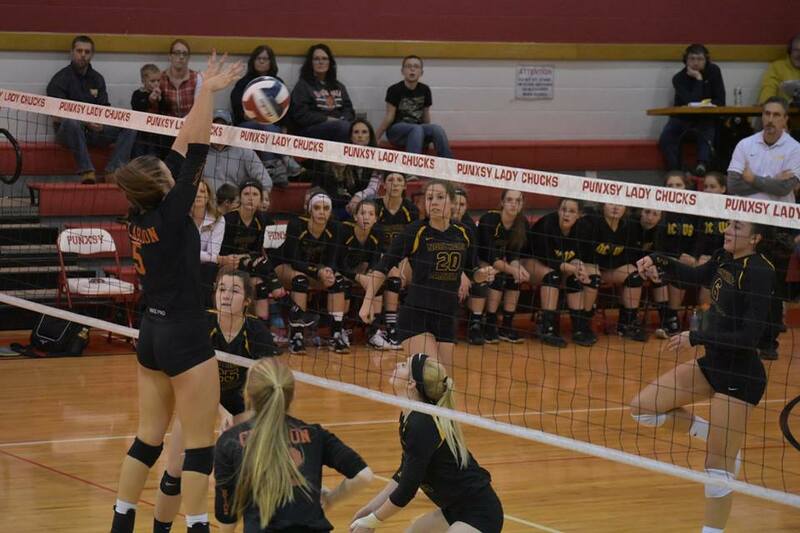 Schill had a solo block and an assist. The Bobcats, the 2018 District IX champions, finish with a 16-3 record.